“A man’s homeland is wherever he prospers” There must have been an obvious reason why Aristophanes, the famous playwright would make such a statement. With embracing Mumbai as my homeland and fitting myself in the cultural mosaic of this city, somewhere in my ambivalent emotions, the nostalgia of my birthplace ‘ODISHA’ always beckons me, especially during festivities like Ganesh Chaturthi and Dussehra. You always feel that something is amiss in your life now. The feeling magnifies more when you see people celebrating these occasions with near and dear ones; suggesting that probably, just probably, you have lost a tad more than you have gained. It’s Ganesh Chaturthi and like every year I am feeling homesick remembering celebrations in our neighbourhood. The excitement of wearing a new dress, meeting friends & relatives, the aromatic prasad of boondi sev (sweet delicacy), the theme based pandals, the exquisitely crafted idols (not as lively as the ones in Mumbai) and the communal celebrations that erupt all over Bhubaneswar – are still fresh in my mind. Ganesh Chatutrthi is as much a festival for Odias as is for some other places in India. It holds a very special place in my childhood memories. We used to look forward to this day with great zeal and enthusiasm. Preparations used to start atleast 10 days in advance. I remember accompanying mom and dad to local Haat (market) for buying the puja essentials, decorations and the idol. We used to build a mini pandal (temple) in the living area of our house. The mighty Ganpati idol was seated on a pidha, a wooden platform in the centre, with silk drapes (usually mom’s sarees) hanging on either side. Colourful streamers, paper halo, buntings, garlands and festoons added exuberance to our homemade pandal. On the day of the puja, we used to wake up early to finish our daily chores and wait for the pandit (priest) to come and worship the deity with a havan and aarti (read pushpanjali). As a ritual, we used to keep our books and pens for puja, expressing our devotion to the lord and praying for bestowing us with wisdom, prosperity and good fortune. The puja was followed by bhajjans, distribution of prasad, feasting on a delicious meal, catching up with friends and having a nice banter with them. These ceremonies were not restricted to households only. Most cultural & educational institutions, besides social and street clubs used to organise the puja with much religious fervour and gaiety. Though, we never had these celebrations in our school, since it was a convent; but we visited other local schools and club houses, buzzing with bhajjans, devotional songs and bollywood numbers as well. Huge illuminated pandals with regal Ganpati idols adorned the streets of Bhubaneswar. My favourite used to be the one right opposite our house. 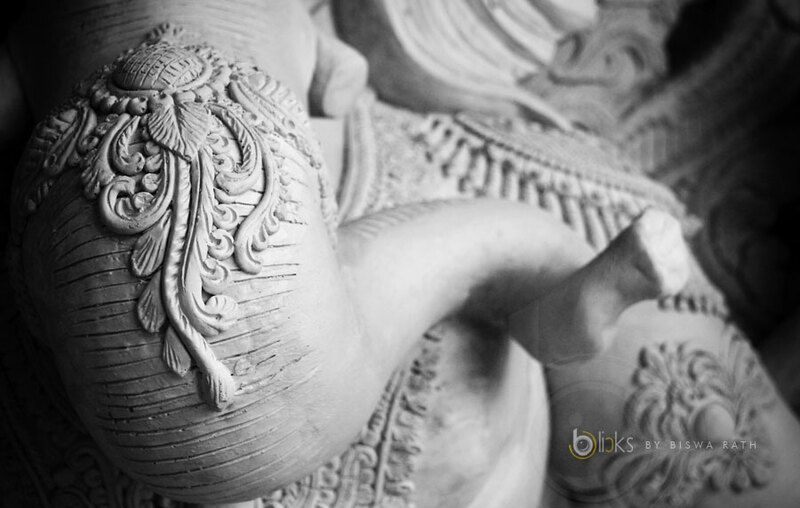 We used to flock to various pandals in the city to take a glimpse of the striking Ganpati idols, displayed with splendor. The attraction of the pandals was the huge archway or entrance gate. From temple structures to iconic architectural buildings, the puja pandals were always innovative and are etched in my memory. Amidst the noise of trumpets, and the chants of “Jai Ganesh Jai Ganesh”, you could also end up attending the music concerts called ‘Melody’ and other recreational programs. 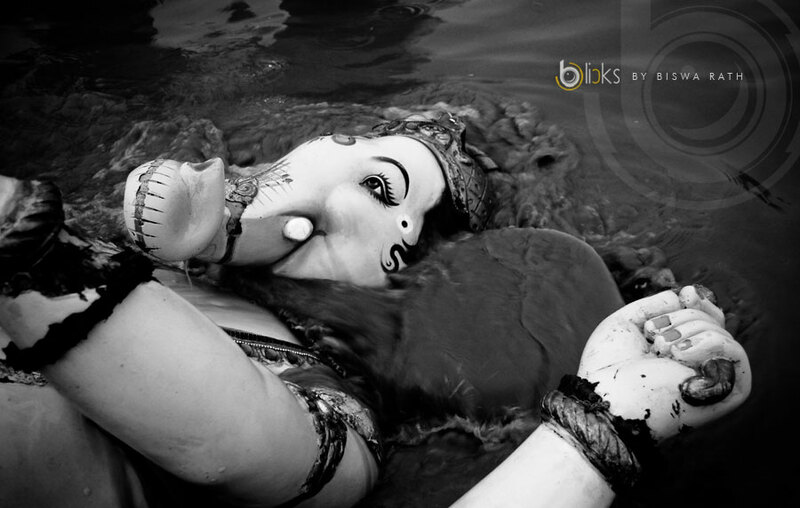 The festivities used to end with visarjan, when we immersed the Ganpati idol in the local Kuakhai River. 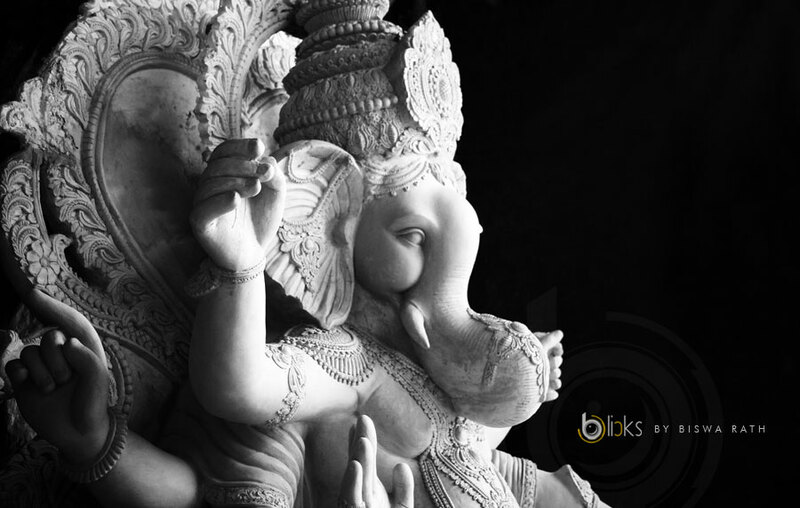 Well, all this can be enjoyed in any place and moreover in Mumbai, where Ganpati celebrations are held with even more grandeur and on a larger scale. It’s is not even about the fervour as you can experience it anywhere. But probably it’s about that vivacity, that warmth, that passion which makes you most nostalgic and most craving for the fragrance of the land – “The Mitti ki Khushboo”.